A tireless showman and an underrated musical talent, Louis Prima swung his way to icon status thanks to an irresistible, infectious sound whose appeal translated across generations. Nominally a swing artist, Prima's distinctive sound also encompassed New Orleans-style jazz, boogie-woogie, jump blues, R&B, early rock & roll, and even the occasional Italian tarantella. Regardless of what form his music took, it swung hard and fast, with a rolling, up-tempo shuffle beat that helped some of his earlier material cross over to R&B audiences (his songs were also covered by jump blues artists from time to time). His greatest period of popularity coincided with his marriage to singer Keely Smith, whose coolly sophisticated vocals and detached stage manner made a perfect counterpoint to Prima's boisterous presence: mugging, clowning, and cavorting around the stage with the boundless enthusiasm of a hyperactive boy. Prima's band during this time was anchored by tenor saxophonist Sam Butera, whose grounding in jump blues and New Orleans R&B was a perfect match. Perhaps because Prima refused to take his music too seriously, sober-minded jazz critics often dismissed him as a mere entertainer, overlooking his very real talent as a jazzman. 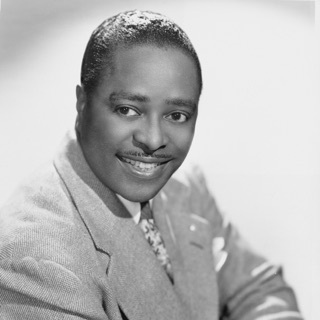 He was a capable, gravelly-voiced singer modeled on Louis Armstrong, boasting a surprising range, and was also a fine trumpet player, again in the irrepressible mold of Armstrong; what was more, he wrote Benny Goodman's perennial swing smash "Sing, Sing, Sing." Prima's impact on popular culture was also significant; his pronounced ethnicity made it safe for other Italian-American singers to acknowledge their roots, and he was the first high-profile musical act to take up regular residence in the lounges and casinos of Las Vegas, helping to start the city's transformation into a broader-based entertainment capital. His musical legacy proved long-lasting, as covers of his classics became modern-day hits for David Lee Roth and Brian Setzer; additionally, the '90s swing revival, which sought to re-emphasize the danceability and sense of fun that had largely disappeared from jazz, brought Prima's music back into the limelight (as well as the good graces of critics). Louis Prima was born December 7, 1910 in New Orleans, LA, to an Italian family who'd emigrated to the U.S. by way of Argentina. He took violin lessons as a youth, but switched to trumpet at age 15 when his older brother went out on tour with a band and left a spare instrument behind. By 17, Prima was playing professionally at a New Orleans theater, influenced chiefly by Louis Armstrong and King Oliver. This was a problem, since the theater was not a jazz venue, and Prima was fired. In the early '30s, he caught on with cornetist Red Nichols for a time, and moved to New York in 1934 at the urging of star bandleader Guy Lombardo, who had been impressed with Prima's trumpet playing. Initially struggling to find work, Prima formed a Dixieland-style backing group called the New Orleans Gang and landed a regular gig at a 52nd Street club known as the Famous Door. The band was a hit, adopting "Way Down Yonder in New Orleans" as their signature song, and recorded numerous sides for a succession of labels up through 1939; some of the better-known members included -- at various points -- clarinetist Pee Wee Russell, pianist Claude Thornhill, guitarist George Van Eps, reedman Eddie Miller, and trombonist George Brunies. Prima also traveled to Los Angeles periodically, and made cameo appearances in several Hollywood musicals, starting with the Bing Crosby Western Rhythm on the Range in 1936. Meanwhile, Prima was composing original material, and in 1937 he completed a song called "Sing, Sing, Sing." 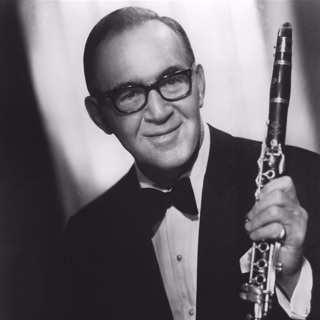 Benny Goodman recorded an instrumental version and had a huge smash with it the following year, spotlighting it in his legendary Carnegie Hall appearance; to this day it remains one of the most readily identifiable melodies of the swing era. Prima broke up the New Orleans Gang in 1939 to form his own big band, which he dubbed the Gleeby Rhythm Orchestra. Following World War II, the band started to take off, landing hits with novelty numbers that often drew upon Prima's Italian background and accent. The first was 1944's "Angelina," a major success that paved the way for titles like "Felicia No Capicia," "Bacciagaloop (Makes Love on the Stoop)," "Please No Squeeza Da Banana," and "Josephina, Please No Leana on the Bell." Prima also made the Hit Parade Top Ten with songs like "Robin Hood" (1944; covered the next year by Les Brown for a bigger hit), "Bell Bottom Trousers" (sung by Lily Ann Carol in 1945), and "Civilization (Bongo, Bongo, Bongo)" (1947). He also wrote Jo Stafford's 1947 hit "A Sunday Kind of Love." In 1948, Prima hired a new female vocalist for his band, a 16-year-old Norfolk, Virginia native named Dorothy Keely, who was renamed Keely Smith. Prima parlayed her initial shyness into a stage routine where he attempted to break down her icily reserved façade. The contrast in their styles made for immediate chemistry, and Smith's boyish haircut only added to the duo's distinctive stage presence. Prima broke up the big band in 1949, and continued to work with Smith as a more streamlined nightclub act. They scored a hit in 1950 with their co-composition "Oh Babe!" and toured the country over the next few years. In the summer of 1953, Smith became Prima's fourth wife. By late 1954, Prima was finding bookings harder and harder to come by. He talked a friend into booking him for an extended stay at the Sahara Hotel in Las Vegas, and while passing through New Orleans, he recruited locally popular tenor saxophonist Sam Butera as a possible collaborator if things went well. They did, and Prima called Butera out to Vegas, asking him to bring a few more musicians; the new group debuted at the Sahara on the day after Christmas, and Butera dubbed them the Witnesses during Prima's first on-stage introduction. Their act quickly became a sensation around Las Vegas, and their engagement turned into a residency, billed as "The Wildest Show in Vegas," which ran up to five times a night. Prima and Smith's comic banter was riddled with sexual innuendo, and they sometimes rewrote the lyrics to popular standards in the same spirit; meanwhile, Butera's jump blues/R&B background kept the music equally lively. Even if the music was aimed at older listeners, it shared a great deal of the spirit of early rock & roll. In 1956, Prima inked a new deal with Capitol, which marked the beginning of the most celebrated and influential period of his recording career. His first album for the label was 1956's The Wildest!, which successfully translated the high energy of his live act into a studio recording; it featured many of his best-known latter-day songs, including the "Just a Gigolo/I Ain't Got Nobody" medley, "Jump, Jive an' Wail," "Buona Sera," "Oh Marie," and the jive-talking duet "The Lip." Over the next few years, Capitol issued six more Prima albums, highlighted by 1957's The Call of the Wildest and 1958's concert set The Wildest Show in Tahoe. 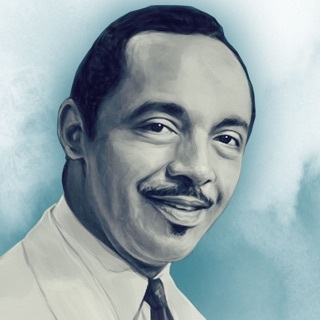 He appeared frequently on The Ed Sullivan Show and other variety programs, and in 1958 he and Smith won a Grammy for their hit version of "That Old Black Magic." In 1959, they appeared in the film Hey Boy! Hey Girl!, which featured their renditions of the title song, "Lazy River," and "Banana Split for My Baby," among others. While Prima and Smith boasted terrific chemistry on stage, their infidelity-riddled marriage was floundering by the close of the '50s. In 1961, Prima switched from Capitol to Dot Records, and from the Sahara Hotel to the Desert Inn; with his popularity still running high, both deals netted huge sums of money. However, Smith divorced him later that year, scuttling the act and largely negating the deals. Prima returned to Capitol for one final album, 1962's The Wildest Comes Home, and hired a new female vocalist, Gia Maione, who became his fifth wife in 1963. Without Smith, he was never again as popular or prolific on record, but he continued to perform in Las Vegas with Butera and the Witnesses, and toured successfully as well. In 1967, Disney tapped Prima to voice the character of King Louie, ruler of the orangutans, in its animated adaptation of The Jungle Book; his featured number, the swinging "I Wanna Be Like You," ranks among the best-loved Disney songs of its era.